Electronic music producer Deadmau5 has been banned from the online streaming service Twitch after using a homophobic slur while on stream. Deadmau5, whose real name is Joel Zimmerman, was hit with a temporary ban on the website after yelling toxic language while playing the video game PlayerUnknown’s Battlegrounds on the Twitch streaming platform. Twitch is an online service where people play video games live for viewers; these viewers can subscribe to a streamer’s channel for a monthly fee and can also give donations directly to the streamer. 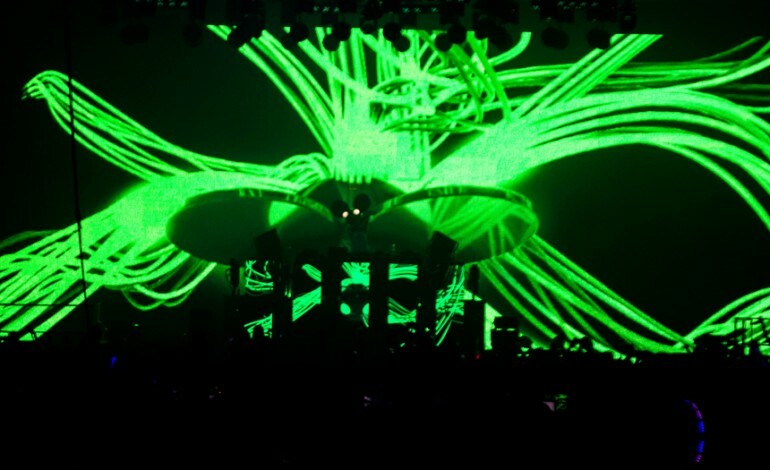 Recently, Deadmau5 has begun using the service as a fun way to connect to fans, as the producer has a history of taking to social media and the internet to reach out to his fans. After this incident, however, Deadmau5 has said he is done using the website. The slur used by Deadmau5 was after losing a game, which he responded to by calling another player a “f*cking c*ck-sucking stream sniper f*g.” In a since-deleted post made on Reddit following the incident, Deadmau5 said that he was not trying to demean any group and he knows that was not what he meant. In his post he wrote that he knew what he said was “generally toxic as f*ck, and not an ideology i hold closely to my moral standing.” He also went on about how he feels the website’s rules regarding what can and cannot be done on stream are misguided and too strict over certain rules. Despite the fact that Deadmau5’s ban on the website is temporary, he has said that he is finished with streaming for good. The producer stated that “I’m not going to stand for twitch’s double standard when it comes to censoring and suspending me for harmless sh*t.” This is not the first time that Deadmau5 has said hurtful comments online, as he is known for getting into arguments on Twitter and other social media services.